Media headlines have been full of political issues and concerns lately, so much so that writers are turning to the pen to uphold their beliefs on social justice. Students are also confronted with headlines, sometimes with full knowledge of the issues and other times, only through hearsay channels. Exploring ideas to bring balance to the classroom is an important step these days. At the beginning of January, #NYEDChat discussed the topic, Tackling Tough Issues, with Ted Palenski and Newsela guest moderating the chat. Educators from many different locales gathered to discuss issues that have arisen and traded ideas on strengthening classroom culture as ways to bring balance to the classroom. Providing the forum for students to discuss terms like tolerance, patience, sharing, and kindness through storytelling, essay writing, and opinion polls is an idea I throw out to all. Relationship building exercises are steppingstones to cementing a culture of trust that help students see each other as peers and partners in learning. 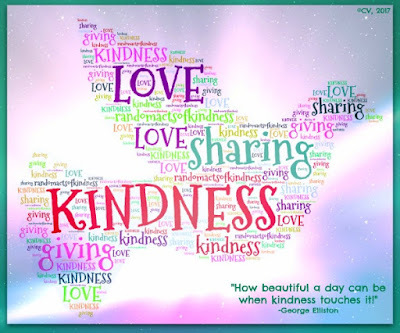 Further ideas on spreading kindness can be viewed at my recent post at my #WonderGround site. It features a Wonder of the Day, from Wonderopolis, and a poem, as core texts in a lesson on kindness. You can access that post here. The following quote, "A single act of kindness throws out roots in all directions, and the roots spring up and make new trees," by Amelia Earhart provides a beautiful visual. It would be interesting to see what images students sketch before a discussion or follow-up activities. In addition, it would make a great bulletin board in the foyer of a school or administrative offices. Plant seeds of kindness for kindness' roots grow and spread. 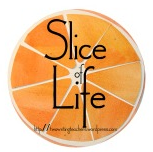 Today is "Slice of Life Tuesday" at Two Writing Teachers. There is a sense of urgency as I write this piece for world news is moving at a fast pace and will have a growing impact on the lives of students. 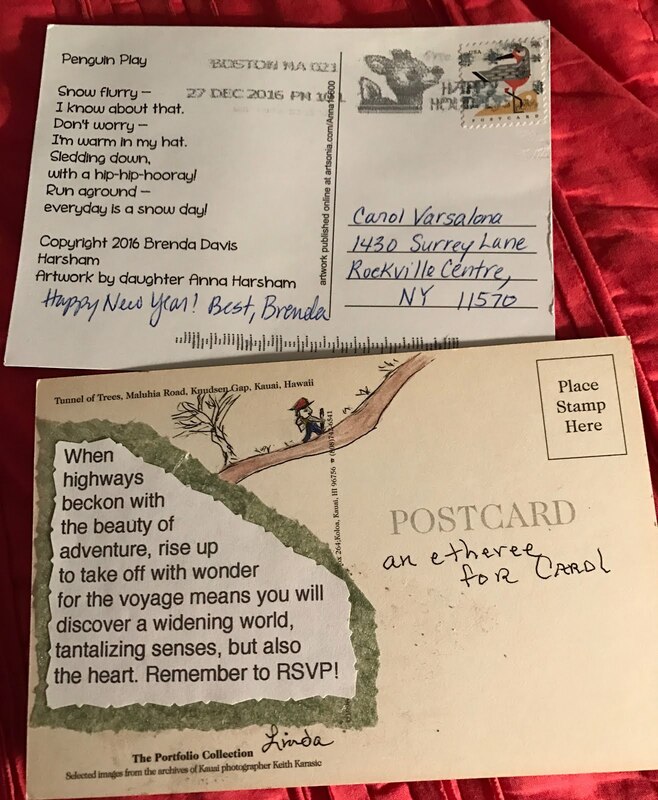 When writing colleague, Maria Caplan, commented on my Jan. 21st blog post, I knew that I needed a healthy week to follow two unhealthy ones. I said, "Enough with the winter illness and more of living the full winter experience outside" but this past week saw another trip to the ENT specialist. Maria's comment, "Here's to a healthier week," coupled with my last antibiotic should have been the antidote to will my acute sinus infection to a peaceful rest. But, alas, it was not. 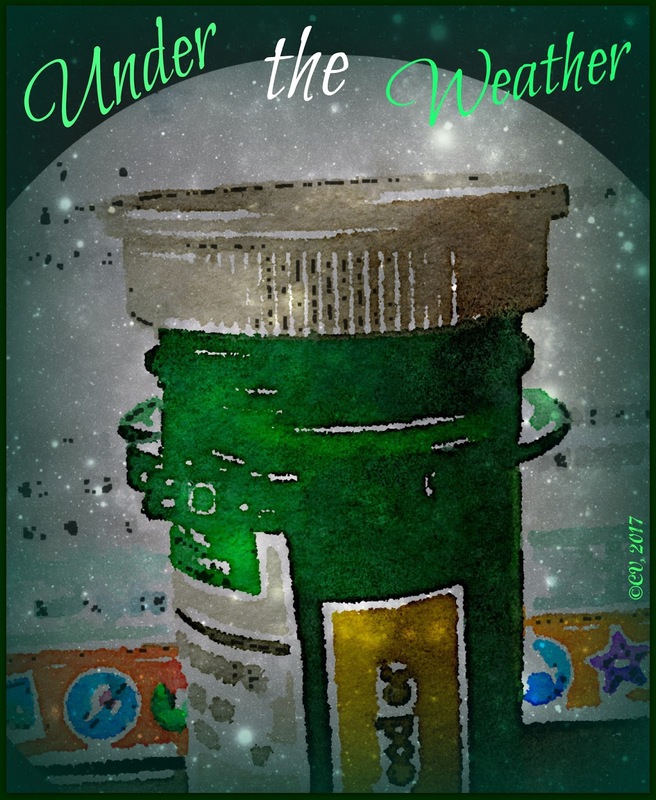 To try and be humorous, I wrote a post, Under the Weather, created a digital to bring a touch of lightness to the three week ordeal, and found hashtags that made me laugh, #undertheweather, #sinusinfection, and #sinusitis. But never fear. I decided today to celebrate the start of a healthier week. 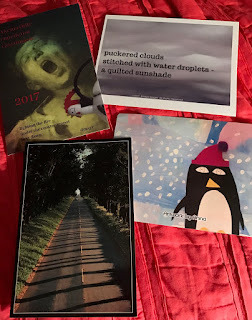 I gave myself a mini-holiday: read the Poetry Friday posts, filled with 45 + powerful voices, that filtered into my blog site, and engaged in a restful experience, a pedicure/manicure. 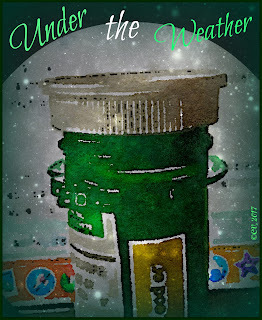 Under the weather was not a phrase I wanted to hear today. Finally, to celebrate my return to the living, I opened the windows, despite the cold outside, and washed the sheets. I honored my mother's remedy for shooing away illness. Amen. It's over (I hope). I am shooing away the germs and spraying the house with Lysol tomorrow morning because it is time to celebrate life with Ruth Ayres. 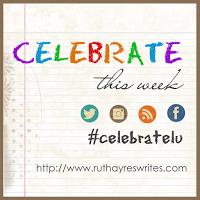 Join me at Celebrate This Week, my place of solace to celebrate life with others who have a positive spirit. Struck by the grayness of the winter sky but bolstered by the warmth of thoughts received, I bring a message of gratitude to all those who write from their heart. 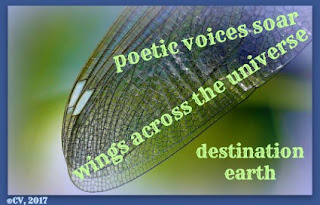 As host of Poetry Friday this week, I send out thanks to the writers who are contributing to this joyful Poetry Round-up. During these past weeks, many voices from the Poetry Friday community have rallied behind causes and brought joy to life through verse. Poetic words have flowed from spaces of hope, advocacy, and social justice out into the world of social media, of which I am grateful. I applaud the poetic difference makers who feel the rhythm of life's balance, the pulse beat of positivity, and the energy emanating from bringing words to life. Your voices light up the page and screen, creating a tapestry of thought in a community of trust. Write on! When Mother Nature sends us gray days and the world is off balance due to dissonance and tension, flip negative vibrations. Engage in a practice that allows hope to finds its way back into our lives. I wish all the writers who join this Poetry Friday round-up, peace and joy. Continue to send your voices out into the world in poetic streams. As difference makers, your words will brighten children's hearts, illustrate the beauty of living things, soften the dissonance, and turn gray days around. 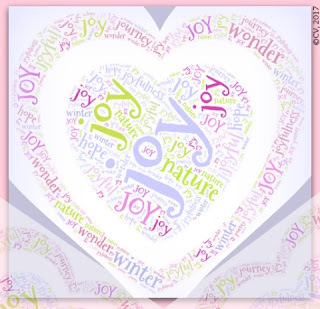 Joyfully submit your Poetry Friday offering below, as I will submit mine to #haikuforhealing. In the dim light of the yoga studio, the gentle voice of the teacher opened the practice. The peaceful greeting set the tone. In the darkness three words fell upon my listening ears. 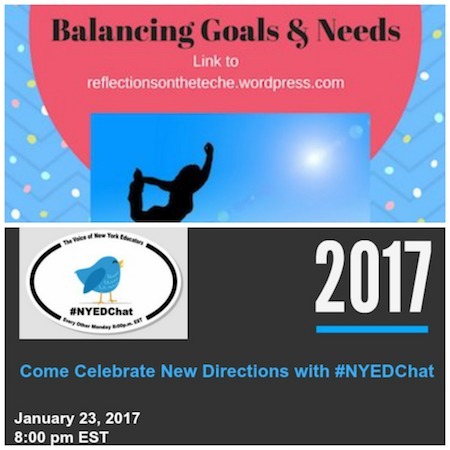 Tonight after moderating #NYEDChat, I reflect on the three words heard in the yoga studio. 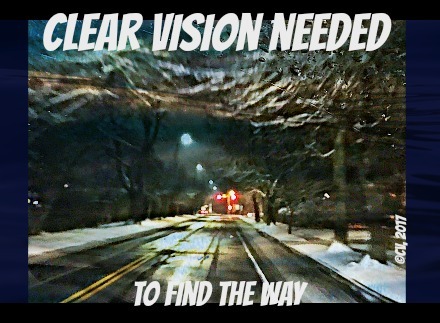 With #NYEDChat's topic of "New Directions" fresh on my mind, these words take on a new meaning. 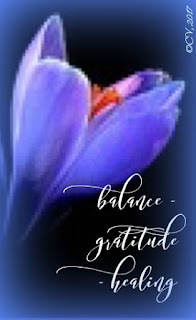 During the yoga class, gratitude was in my heart as we lifted thoughts of thankfulness for another person in need. Similarly during the Twitter chat tonight, I felt a feeling of gratitude for the collegiality emanating from the group. Within the framework of communities, we stand together in thoughts and actions. Healing was a word that needed to be heard in the studio. Despite the discord and dissonance of the outside world, the yoga studio became a quiet, peaceful haven-a refuge where healing floated on gentle wings. In our classrooms and school buildings, students seek a place where the balance of a cohesive community allows voices to rise. 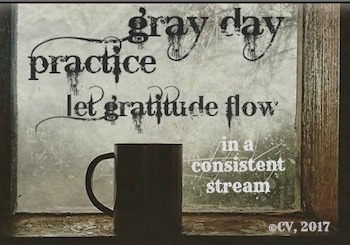 Gratitude flows in a culture of trust in which acts of collaboration and kindness lead to healing. Just three little words heard during an opening greeting provided a message that reverberated over several days. I was fortunate to take away those words knowing that words are powerful and must be chosen carefully to convey a positive effect on others. Today is Slice of Life Tuesday at Two Writing Teachers so I offer my words to the blogging community with thanks to the participants of #NYEDChat who inspired me to remember that words matter. 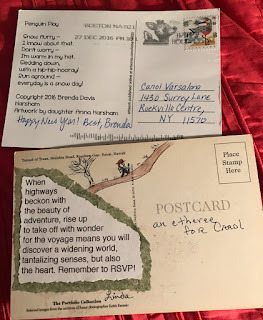 Two invitations were sent out this weekend by two different connected educator PLNs. As this Monday night's moderator of #NYEDChat, I was preparing questions to send via Twitter when Margaret Simon, leader of #DigilitSunday tweeted her prompt. Each January, millions of people around the world turn their attention toward finding balance in their professional and personal lives. New goals versus immediate needs are weighed. Resolutions or one words are created to steer an individual's journey knowing that continued reflection leads to a fresh start. Whether it is a make-over, redo, or new direction on your mind, there are always questions on how to get started. This is the point where focus comes into play. A new energy generated from the process propels us forward. I have been debating how to mindfully move forward in a new direction without procrastinating. I am reminded of the words of Thomas Merton, "Happiness is not a matter of intensity but of balance and order and rhythm and harmony." What a beautiful thought as a start today with some steps to help me mindfully move forward. A positive attitude is needed as I seek joy (my #oneword2017) in everyday, ordinary routines and tasks. What will you do to seek balance as you find a new direction this January? Please visit #DigiLitSunday at Margaret Simon's blog here to read how the other bloggers are addressing the topic, Balancing Goals and Needs. 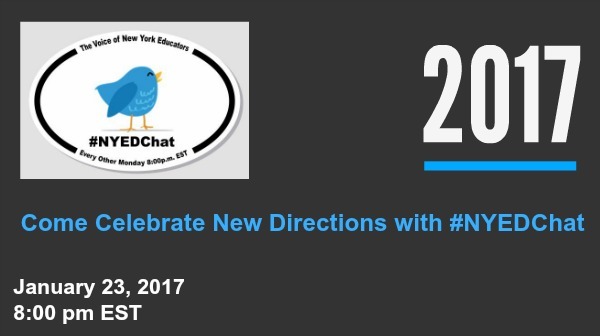 Then, save the date to join #NYEDChat for our hour conversation, Come Celebrate New Directions with #NYEDChat, tomorrow night at 8 pm EST. Photo via flickr.com under the Creative Commons license. "Winter is not a season, it's a celebration." Wintertime brings to mind iconic images such as, colds, chicken soup, flannels, and snuggly quilts. While nursing an acute sinus infection these past two weeks, life slowed down. At first, I found it difficult to remain inside drinking soup, switching flannels, and trying out different spots to cuddle up in, but, in retrospect, it was precious time. 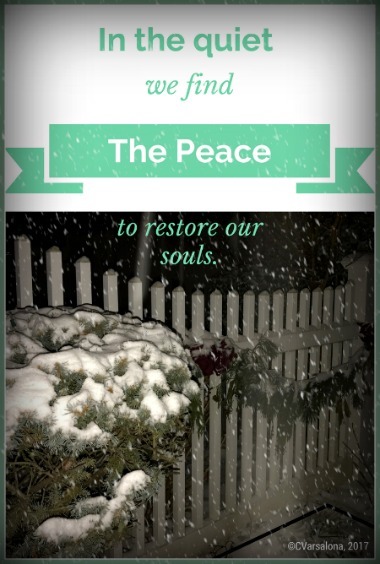 I was able to recuperate while slowly tucking away Christmas decorations, reorganizing closets and drawers, and celebrating an unusual January winter with fluctuating temperatures, dustings of snow, gray skies, and intermittent rain. So what does one do when not able to venture outside? 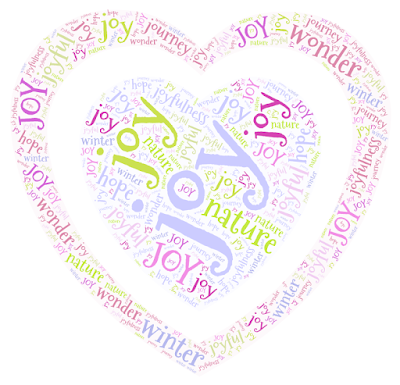 I mustered enough energy to bring winter joy inside. With sparkling lights, winter greenery, and flickering candles I created an ambiance to nurture my spirits in what seemed to be endless, boring hours. Now with one day left on antibiotics, I am starting to feel perkier so, I will continue my pursuit of finding joy in the commonplace marvels of life (hopefully not those that have to do with winter colds). I am sure that you have experienced the doldrums of winter colds but have you switched the perspective to spend time celebrating? 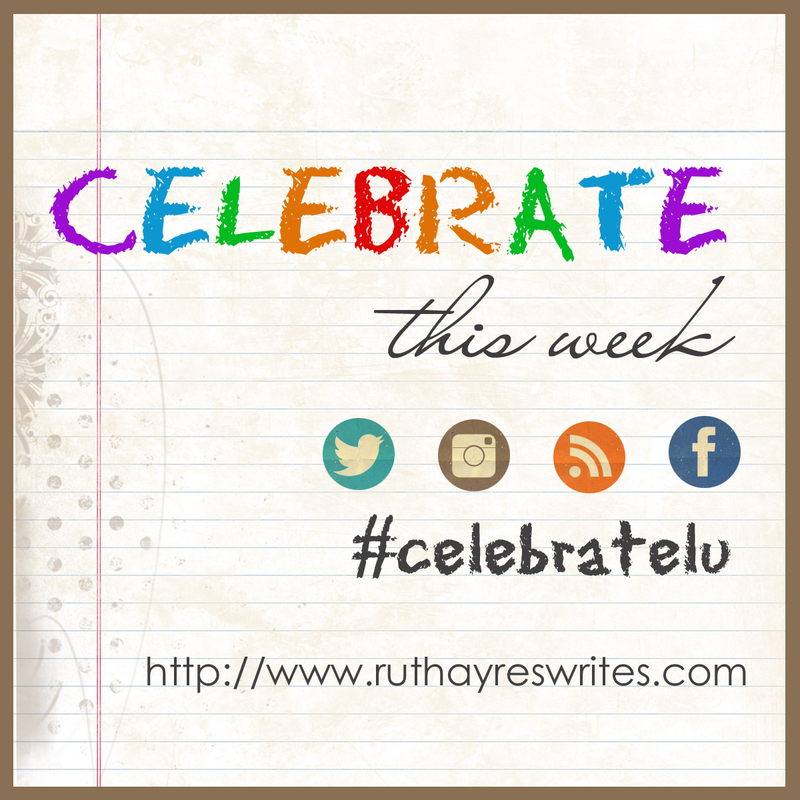 Each weekend I reflect and celebrate life with Ruth Ayres who creates space for writers to Celebrate This Week with her. This weekend, Ruth posted a unique look at love. Perhaps, you would like to read Ruth's Love is an Apple Core by clicking here. 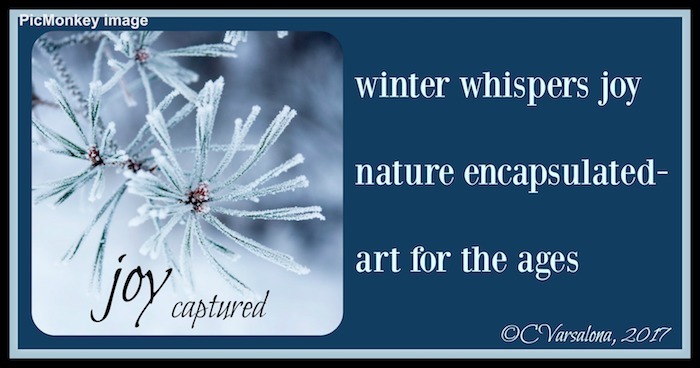 I invite everyone to look closely at each winter day to find wonder and beauty in nature. If interested, consider creating a digital composition for my latest global gallery of artistic expressions, Winter Wonder 17. You can access the official invitation here. As I meander through the beginning of the year, I search for joy in the small and ordinary places of life. Even paperwork and household reorganization take on a new light when being guided by my one word, joy. Walking toward a path of joy is a heart-filled exploration of life. The crackle of one's own hearth-fire! The peace and rest of Little Things! You can read the rest of the poem here. 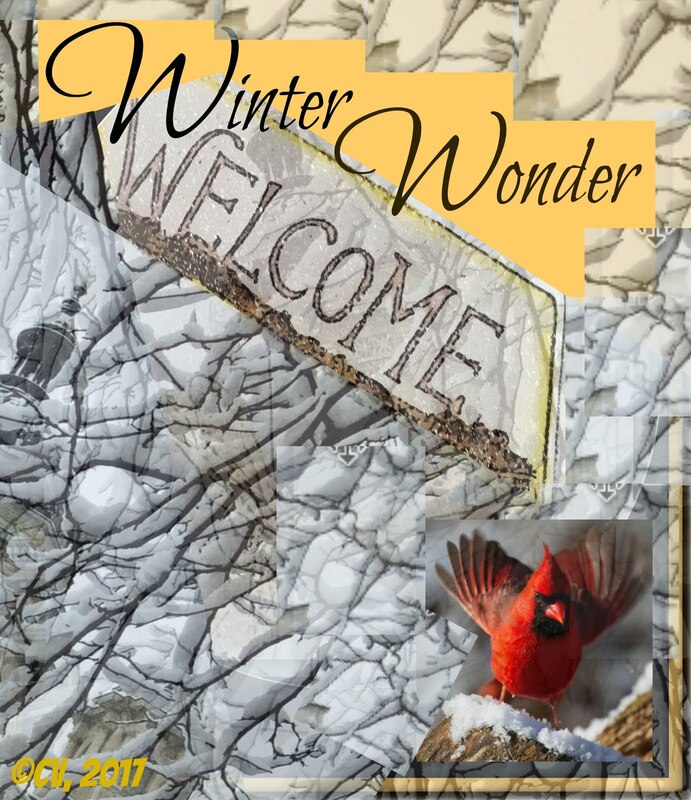 -Inviting all who are interested in creating digital poetry for my newest gallery, Winter Wonder 17, to access the invitation here. Violet Nesdoly / poems. Will you join me? 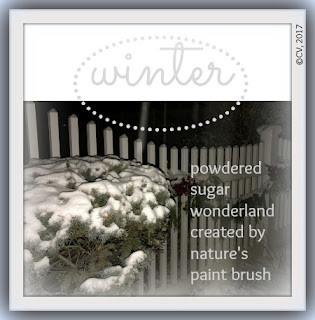 Thanks Linda Baie for the snowy Poetry Friday logo. May your path be filled with joy. Next week, please join me as I joyfully host Poetry Friday. When winter white blankets unfurl from the sky, a hush settles over the land. Photographers capture stilled wonders. Artists choose mediums and poets quietly blend words to accompany what is seen through the lens. Artistry in white is christened and moments in time frozen for all to witness. In the quiet of the winter season, I invite you to find nature's artistry during January and February, whether the earth is covered in white blankets or warmed by the sun's brilliance in your locale. 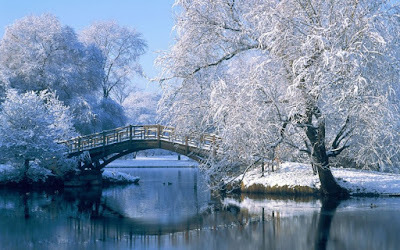 -Be inspired to find the beauty of the season. 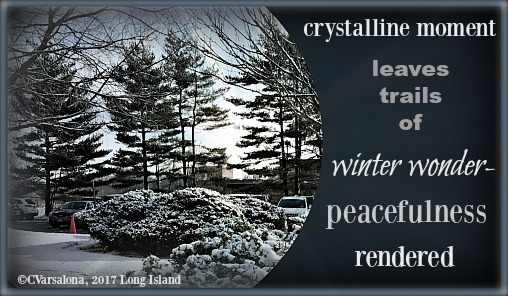 -Capture your perspective of the winter season in photographs, videos, digital slide shows, songs, musical compositions, artistic renderings, collages, illustrations, image poems, digital inspirations, inspirational quotes, or hand-drawn pictures. -Send a thumbnail (jpeg or png) of your offering to my gmail account (cvarsalona at gmail dot com). You can also send your winter wonder to my Google +, Facebook, and Twitter accounts (@cvarsalona). The preferred size of the image should be 450 pixels or no larger than a 3 by 5 image. -A digital repository for the gallery's offerings can be found on Twitter under a custom hashtag #WinterWonder17. Please post your work there for all to see during the winter months. -All digital compositions must have proper credit for work displayed with the name of the author and location of photographic image embedded at the bottom of the image. -Deadline for submissions is February 28, 2017. -Examples of past winter galleries can be accessed at: Winter Wanderings and Winter Whisperings. Thank you to Lester Laminack for suggesting the title of this gallery. Be encouraged to look closely at each winter day to find wonder and beauty in nature. Let your creative spirit move you to create an individual interpretation of what you have witnessed. If there were no winter in our year!" On August 28, 1963, Martin Luther King delivered a powerful speech, I Have a Dream, in Washington, D. C. Today, decades later, many Americans are honoring King as we celebrate a national holiday, Martin Luther King, Jr. Day. King's words, strong in their delivery at the time, still hold true in this age as we face a new year. One particular line from the I Have a Dream speech resonates with me: "Out of the mountain of despair, a stone of hope." 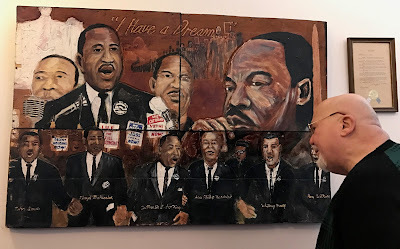 In tribute to the legacy of Martin Luther King, I recall an incredible experience I had while presenting at the NCTE Convention in Atlanta last November. I was privileged to take a historical tour of Atlanta, the Civil Rights Tours led by Tom Houck, a personable, informative guide who was Martin Luther King's aide. Being immersed in the life and words of Martin Luther King told from Tom's perspective, was so inspiring that I was moved to pen my first Golden Shovel poem. The rules I followed for the Golden Shovel poetic form are stated below by Writer's Digest. Take a line (or lines) from a poem you admire. Use each word in the line (or lines) as an end word in your poem. Keep the end words in order. Give credit to the poet who originally wrote the line (or lines). The new poem does not have to be about the same subject as the poem that offers the end words. 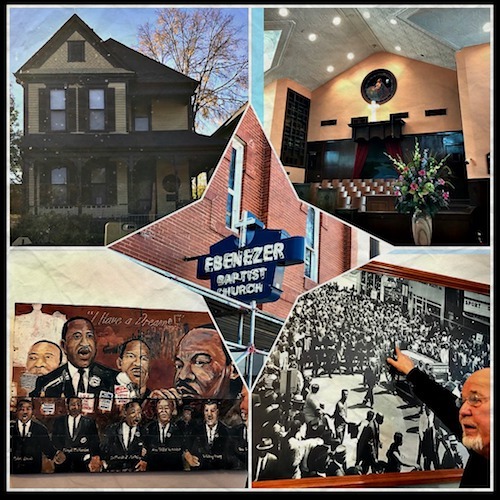 Tom Houck discusses the painting of MLK that is hanging in the Ebenezer Baptist Church in Atlanta. "Out of the mountain of despair, a stone of hope." 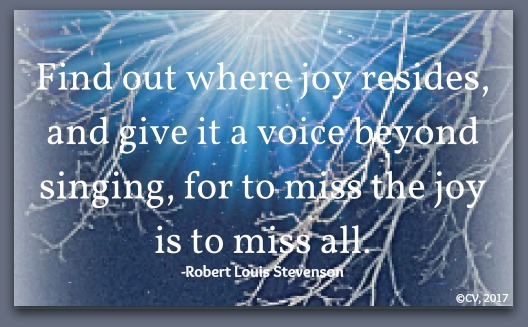 a joyful life, not despair? I, like many Americans, have a dream. On our national holiday, Martin Luther King, Jr. Day, I remember the sights and sounds of Atlanta brought to life by Tom Houck, an incredible storyteller, and shall honor the legacy of a great man whose life was the pursuit of hope. Each year, I have written a post honoring Martin Luther King, Jr., an American hero. If interested, they can be accessed by clicking each link below. 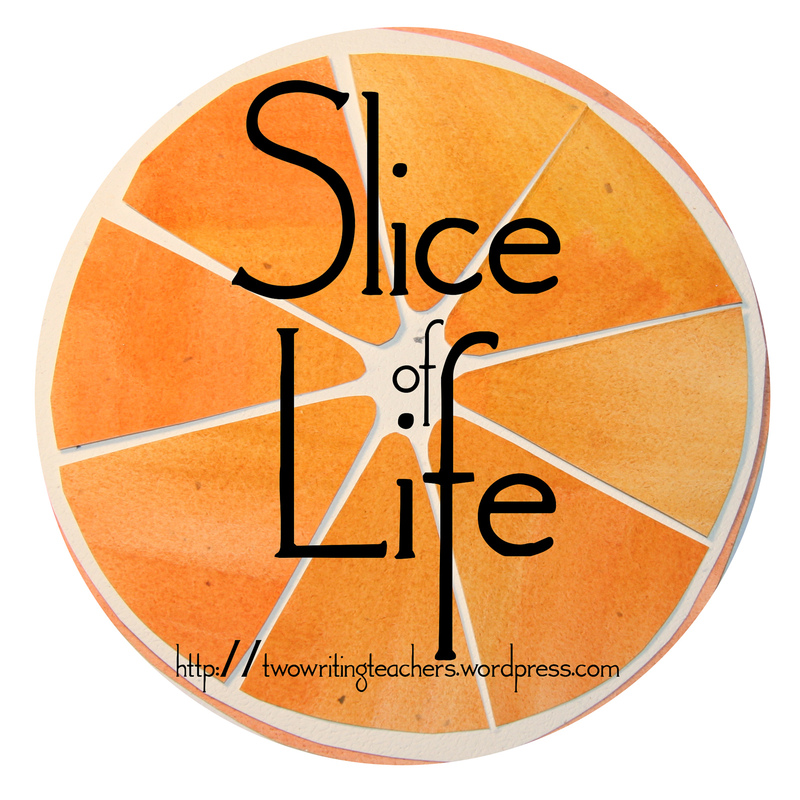 -Honoring the Words of Martin, Luther King, Jr.
Each Tuesday Two Writing Teachers offer space for teachers and writers to offer their Slice of Life. Please visit the site here. Each week I celebrate the positives with Ruth Ayres and her community of writers at Celebrate This Week. While this past week has been one of nursing an acute sinus infection, Friday night I was able to step out of the house with my family for some errands in an attempt to return to normalcy. During that break from being housebound, I found myself caught up in a spontaneous, fun-filled adventure to capture the beauty of nature. Unplanned moments can lead to wonder. Since the opening of the year, I have been trying to find joy, my one word, in the most ordinary of places. When I saw the moon take a striking pose in the night sky, I knew that I had to follow it to find the right position for a photograph. A crazy idea, you may say, but nonetheless one that needed to be captured in my mind because a few moments of carefree adventure could bring some fun. Joy seems to be infectious so I even got my husband interested in the pursuit. Each time we stopped at a red light he would pull out his tablet. I simultaneously would be ready to take a shot with my iPhone for the moon was a most unusual sight in the night sky. It appeared to be stamped onto a black canvas, an ink splotch in the sky that peeked through striated clouds and branches. It was eerie but afterall it was Friday the 13th. The image below is the compilation of merging different facets of the moonlit adventure. I went to sleep thinking about the coincidence of the moon meeting Friday the 13th and woke to another luminescent view of the moon. Two separate views led me to wonder even more. If I was in the classroom, this would make for an interesting conversation about science, nature, and the superstitions surrounding Friday the 13th. For me the coincidental meeting of a full moon on Friday the 13th provided an opportunity to find joy in the night sky. 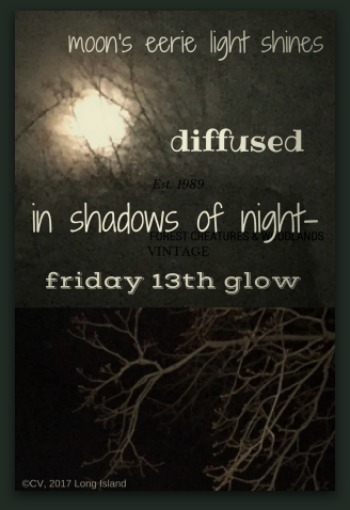 *If you look closely at the first #imagepoem, you will see that Friday the 13th played a trick on me. There are faint words in the background that were embedded as I created. Little did I know until I posted. Life is full of mysteries! Because it is difficult to let go of the words swirling like the snow, I continue to compose along with other Poetry Friday writers. My mission is simple. As part of my #oneword initiative, I search my surroundings for small moments of wonder to capture and then spread to release a spirit of joyfulness like the butterflies that flutter. Snow is the topic of conversation around the country but today there is a distinct change of spirit in the New York City area. People are filled with lightheartedness. There is a spark of energy in their walk and the meteorologist has a smile on his face. All of this is attributed to the dramatic change in weather patterns. Today, the temperature on Long Island rose to 65 degrees and broke the record high set in 1890. The snow pattern has been erratic so I decided to capture snow as a lead character in my poetry writing. Since I was housebound with a horrible sinus infection when the snowstorm finally arrived I could only view the frost and snow mounds from my window. The snow glistened in the darkness as the Christmas lights, still lit, reflected a serene sight. I wrote the above Part 3 haiku as a tribute to what I witnessed from my window view. Then, the rains came. Snow waltzed into my life and waltzed back out but winter is still present. What does winter look like in your part of the world? Does it allow you to find a poetic lens to look through? 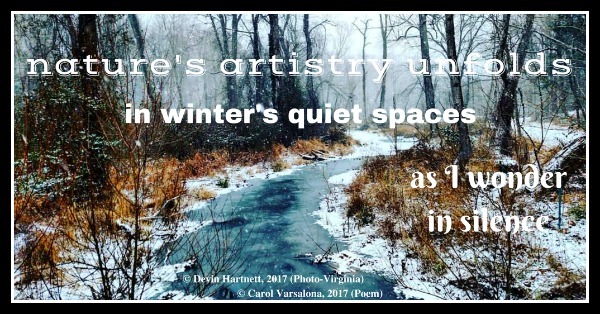 If so, I am designing an invitation to my next gallery, Winter Wonder, and you are invited to write alongside me. For those who live in warm weather climates, winter takes on a different look than the snowy scenes above. All perspectives are welcomed, though. If you access #WinterWonder17 on Twitter you will find some digital inspirations, photographs, and #imagepoems starting to appear. Stay tuned for my official invitation. In the meantime, enjoy the weather wherever you live. Please visit the Poetry Friday party at Keri Collins Lewis's blog that you can access here or here. Keri has an eye-opening video for all to watch that made me ponder how often I spend time embracing pure joy. 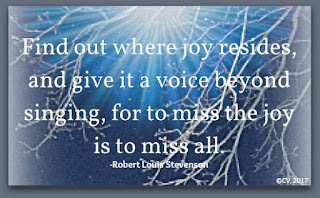 Hence, the need to have joy as my guide on this year's journey.